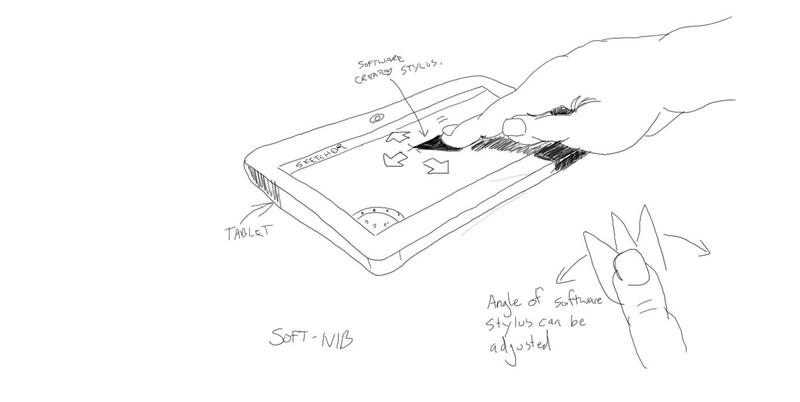 Obviously I haven't worked out all the details - such as how the pointer tells the difference between positioning the stylus and drawing with the stylus. I'm sure these kind of things can be sorted with further development. It could even have different shaped pointers for different shaped lines. I'm calling it 'softnib'. 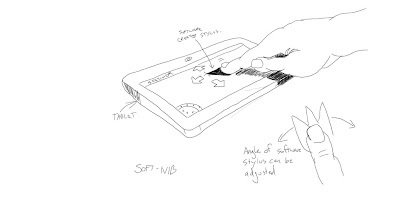 A solution that allows for precision drawing without the need for an actual stylus. What do you think - is it a good idea? Have you seen it before? If it is a good idea let's hope someone sees this post who can actually implement it. It sounds a good idea to me,though,I don't understand the technoogy of it, so you need someone to see this that does. The name, 'Android' makes me think of 'out of space' creatures.